Are the Indian River Canals Cleaner than the Lagoon? IT WOULD BE ALARMING IF IT WERE TRUE. BUT IT JUST MIGHT BE. The Indian River Farms Water Control District (IRFWCD), an independent special district, which creates, organizes and maintains over 225 miles of canals and ditches that lead into Vero Beach’s three major canals. Its operations are of critical importance to the health of the Indian River Lagoon since the management of the water outflow from the canals effects the water quality of the Lagoon. 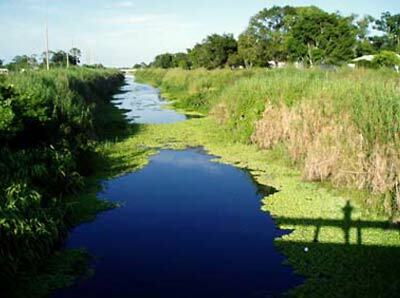 According to David Gunter, Superintendent of IRFWCD, each quarter IRFWCD is required to submit water quality samples from the canals to the St. John’s River Water Management District (SJRWMD), an organization responsible for the management and storage of surface and groundwater, overseen by the Florida Department of Environmental Protection (FDEP) and the Governor’s Office. Flowers Chemical Laboratories, Inc. conducts these samples, reporting sampling locations, sampling depth, dates and times of sampling. Substances sampled include water temperature, nitrogen, total phosphorous, turbidity etc. Meanwhile, the SJRWMD itself conducts samples of the Lagoon on a monthly basis, essentially sampling for the same substances. Their samples are uploaded quarterly, with the assistance of FDEP, to the U.S. Environmental Protection Agency where the data is input into a “STORET (STOrage and RETrival Data Warehouse,” available to the public through the U.S. EPA website. STORET is the EPA’s central repository for national sampling. Should someone want to compare the water quality of the Lagoon and our three canals they could take the time to compare quality samples taken by SJRWMD and IRFWCD for similar timeframes, utilizing their own scientific methods. Mr. Gunter, a recognized conversationalist of canal water, believes if someone were to take the time to do so, the water in the canals might be cleaner than water in the Lagoon. On the other hand, nutrients are a double-edge sword. Nutrients such as nitrogen and phosphorus are essential for plant and animal growth and nourishment, while on the other hand an over abundance of nutrients in the water can cause a number of health and ecological effects. Nutrient pollution in the Lagoon was most likely for the outbreak of algae blooms, which caused a rapid increase in the density of algae in its aquatic system and a tremendous loss of sea grass. The photo below was provided by Mr. Gunter. In the photo, although it is difficult to see, there is a pile of water lettuce removed from a canal by IRFWCD. 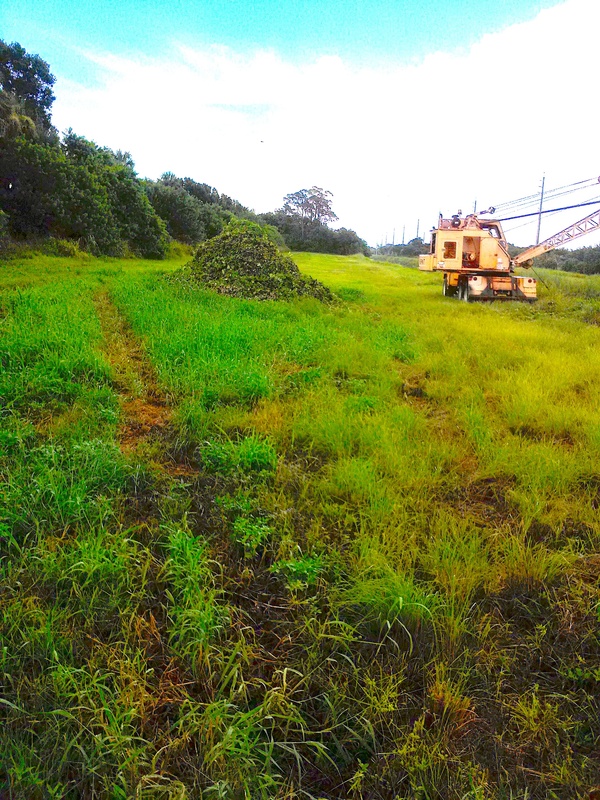 In front of the pile you can see green grass from previous spreading of the water lettuce. Behind and to the right side of the pile you can see the difference in the quality of the grass before the pile of water lettuce has been spread over it. In 2013 IRFWCD removed 9,227 cubic yards of water lettuce from the three canals, amounting to 3,656 tons, consisting of 26,614 pounds of nitrogen and 2,464 pounds of phosphorus. The challenge for Mr. Gunter is the need to separate the nutrients, to remove and keep them from entering the Lagoon, while using them for plant and animal growth and nourishment. ← Have You Ever Noticed When You Open a Webpage There is an Ad For an Electronic Health Care Provider?